Technology marketing is getting murkier by day and marketers have to struggle hard to spread the word about their business and maintain their profits. 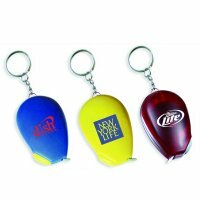 If you is one marketer struggling to keep promotional budget low then seek these promotional computer keychains. These imprinted custom computer key tag makes a great promotional choice for technology marketing involving computers and other associated gadgets. These customized computer key fobs easily become a key to your business and offer a secure hanger for managing keys! It can be availed here in diversified shapes, color and themes. It makes an eligible and an affordable tradeshow giveaway for most budgeted marketers and they can employ it for value building during regular services or business days, too.